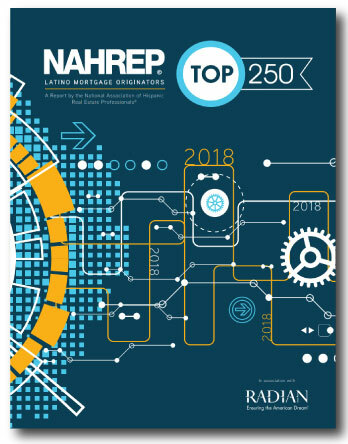 NAHREP is proud to recognize the leading Latino mortgage originators from across the country in the fourth annual Top 250 Latino Mortgage Originators Report. The list recognizes individuals whose hard work and dedication to homeownership has led them to close an exceptional number of mortgages in 2017. NAHREP believes in the importance of recognizing hard working individuals from different parts of the real estate industry that support homeownership in the Latino community.